The year: 1924. The place: the Rite Spot Sandwich Shop in Pasadena, Calif. The event: Fry cook Lionel Sternberger, age 16, decides to put a slice of cheese on one of the hamburgers he was making.And thus, the cheeseburger was born. Or so the story goes. 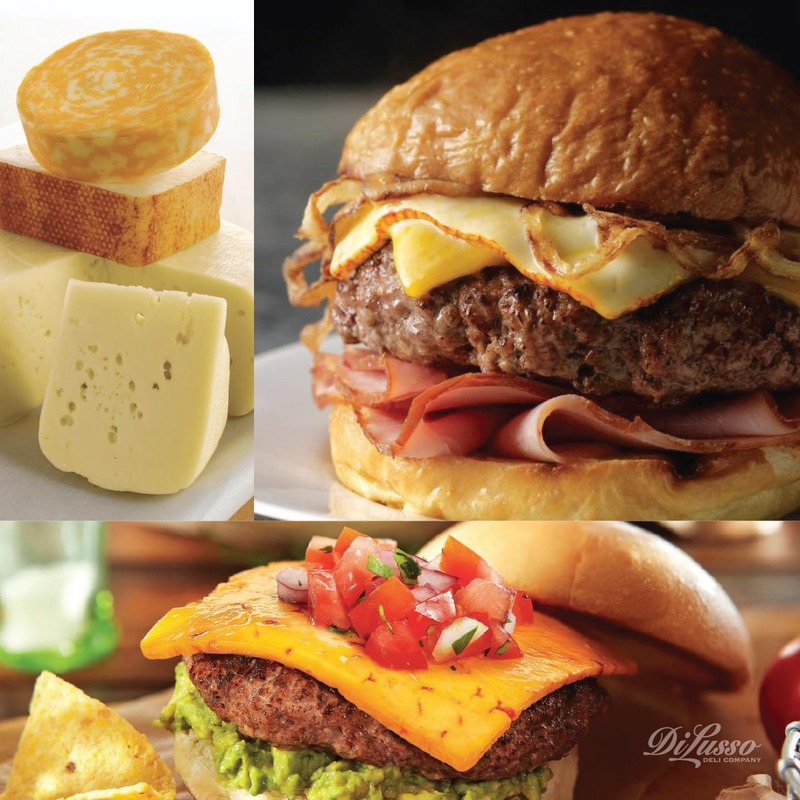 All we know is that cheeseburgers are utterly delicious, and chances are they’re a staple on your summer-menu lineup.We encourage you to think beyond the individually wrapped slices and look to real, carefully crafted DI LUSSO® cheeses. What a great way to vary your cheeseburger experience—experiment with different varieties, and discover your favorites! Here’s some inspiration: our All-American Cheeseburger is just that, but with a little special flair in the form of DI LUSSO® Sharp Cheddar and Muenster cheeses, which top the burger with melty goodness. 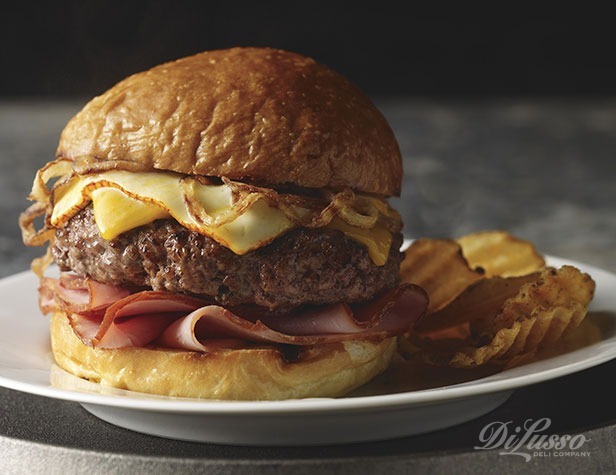 Add more ham to your hamburger by adding a slice of DI LUSSO® Double Smoked Ham to it all. Perfect! Also try our zesty Chipotle Burger, topped with DI LUSSO® Chipotle Cheddar and made extra delicious with the addition of guacamole. We offer more than a dozen rich, flavorful DI LUSSO® cheeses, such as Smoked Gouda, Pepper Jack, and Havarti. That means you could try a different cheeseburger every week of the summer and beyond! Thank you, Lionel Sternberger. With a name like that, you were surely destined for burger greatness.